Raise your mouse if you shop Amazon? They have everything, right? From laptop computers to breakfast cereal, Baby Registries and College Text books are just a click away. 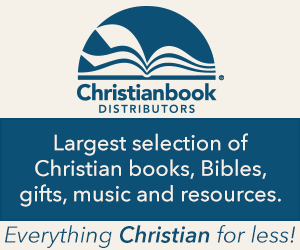 You may have seen the Amazon ads and links for a variety of art supplies and Bibles here at Creative-Bible-Journaling. But what you may not have realized is that, at no cost to you, we can benefit from your shopping at the Amazon online store. How, you ask? Because CBJ is an Amazon affiliate. This means that if you click from our CBJ website to the Amazon website, we will earn 5% of your total purchase as a bonus, whether it’s art supplies or furniture. It is a great way of shopping, helping fund the CBJ ministry with no extra cost to you. In our Facebook group, you will see various links/ads that we are talking about, in the Facebook posts. With those links, you just click and you will be taken directly to that item. You can also click any of these links and do your general shopping, without even purchasing the art supplies, just click our ad to shop Amazon, it’s that easy. Here on our Resource Blog, you can visit “CBJ Shop”. Follow the SECOND GREEN MENU BAR until you see SHOP. You will see categories of Pens, Pencils, Stamps and Stencils. Under the BIBLE drop down menu you will find many categories of bibles, including Illustrated and Children’s. On each page you will find featured items that we suggest work well for bible journaling. Remember, the link you click on is what connects your shopping cart to the CBJ affiliate account. Each time you go to the Amazon site, please click on a link from our site to get there. You can keep the code handy, by copy/pasting one of the links in a document, so it’s easy for you to click on when you want to go shopping. Why is this important? Because we would like to provide even MORE than we already do for the CBJ Members, both on the website and in the Facebook Group. Real prizes, sample supplies, and live video streaming are a few of the new things we are looking at for 2019. Your support with Amazon Shopping can help us afford to go further with our online ministry. Sounds like a win/win to me. What about you? If you have any questions, please ask Susan Stump by posting or messaging. Again, all you need to do is click one of our Amazon links or ads and it will automatically take you to your regular shopping account, but gives us credit for the total amount purchased. Thank you for your support. Keep scrolling for example ads that you may be interested in.